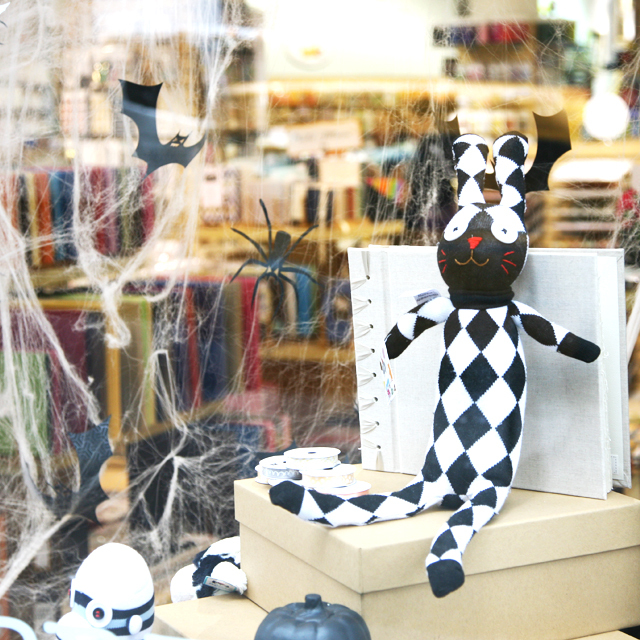 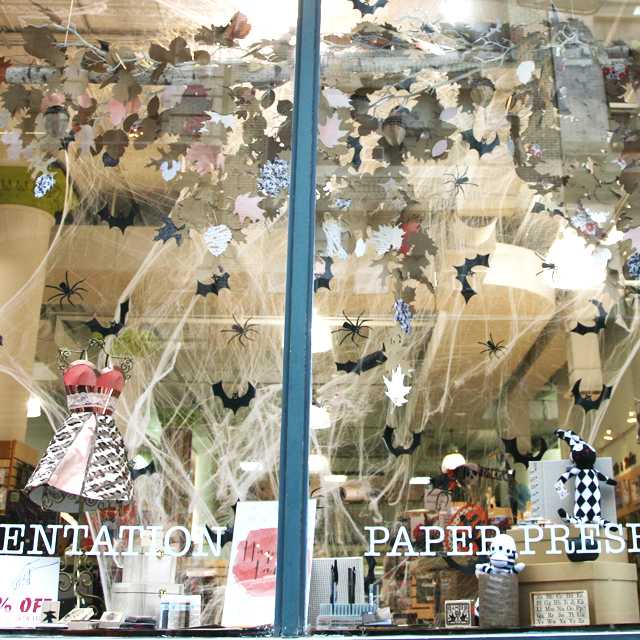 Since Halloween is around the corner, we knew we needed a spooky window display. 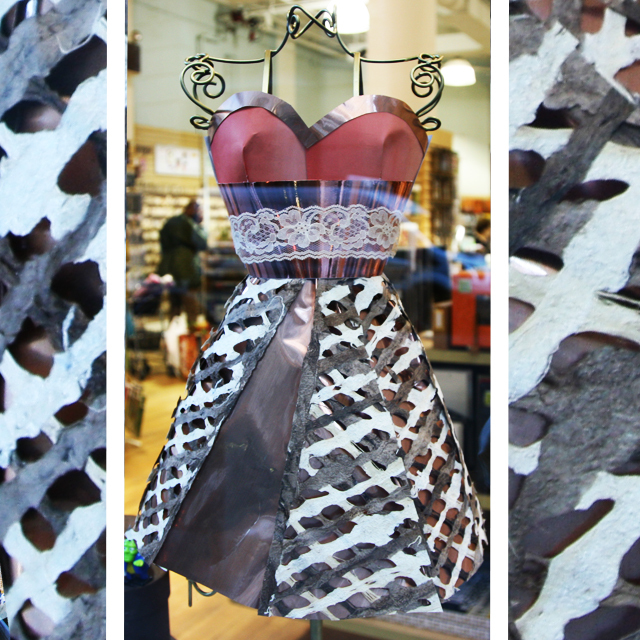 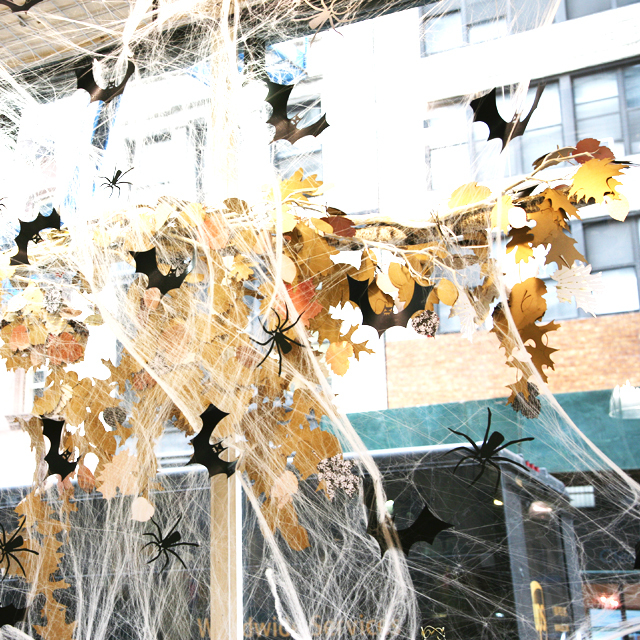 Our design team and laser cut team both collaborated together to bring this spooky display to life. 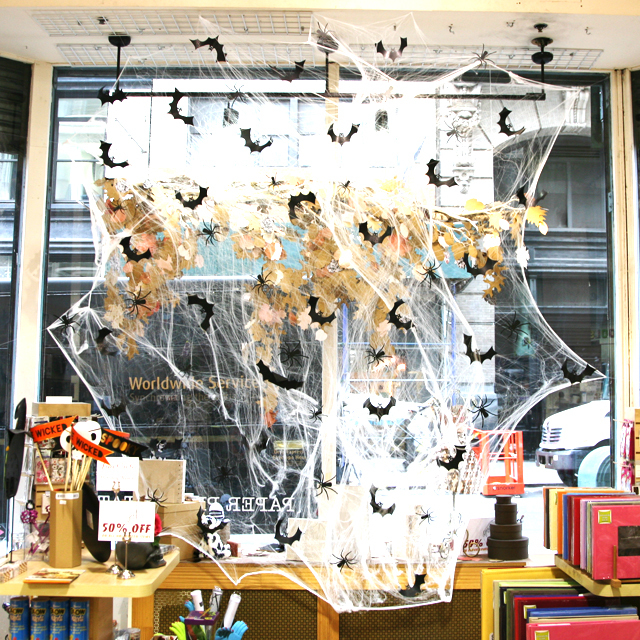 The design team first set up the stretchable spider web (Available in store) with our clear string 100 yds (Available in store). They were inspired to create a gigantic life like spider web where the bats would get tangled on. 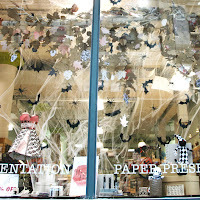 Both teams decided which designs of the bats and spiders would best fit with our window. 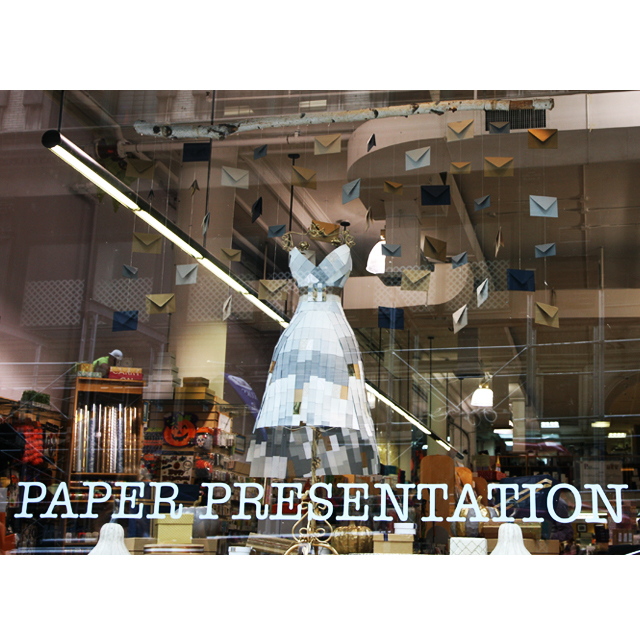 Our design team selected the Glamour Noir and Maze Noir paper; both are available online and at our store. After receiving the papers chosen by our design team the laser cut team went quickly to work on laser cutting the bats and spiders. 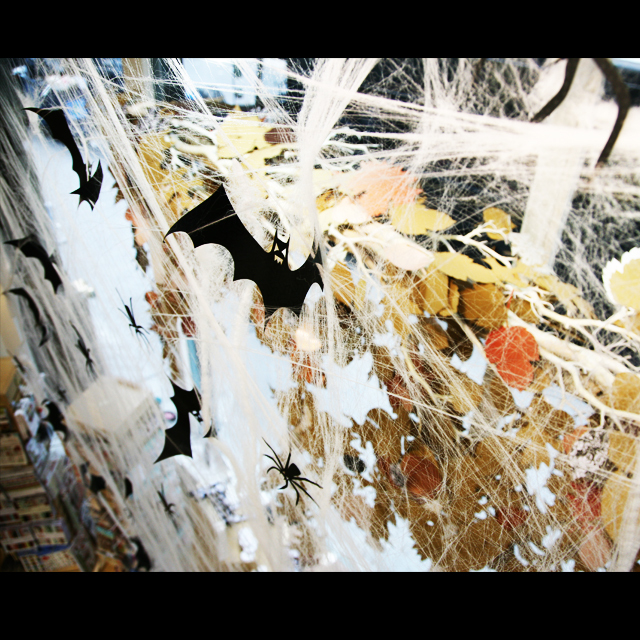 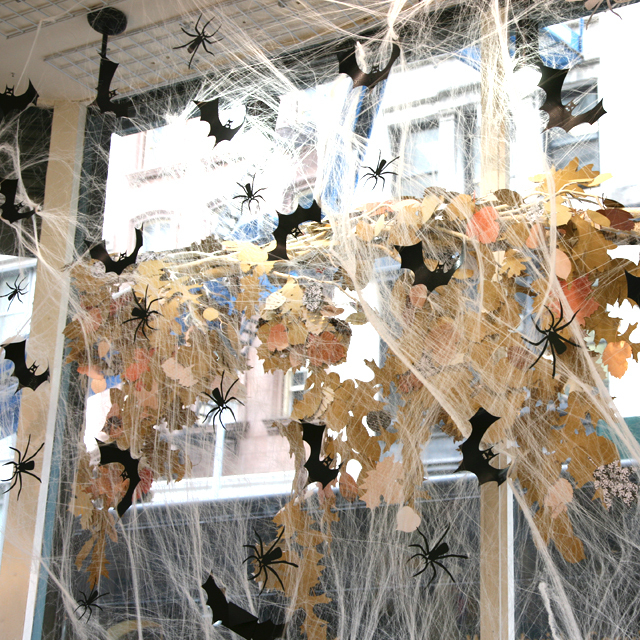 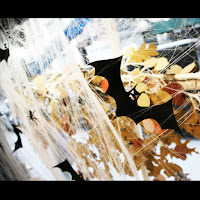 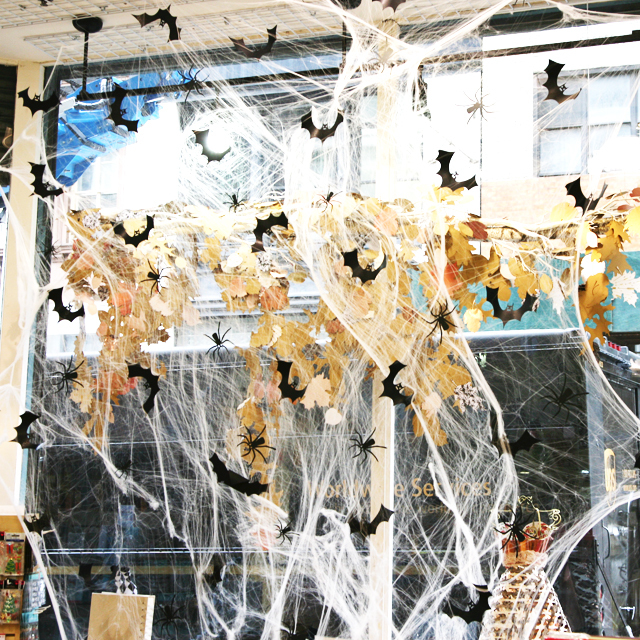 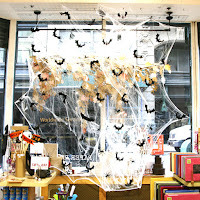 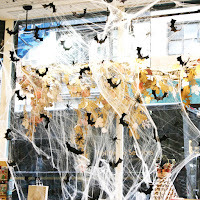 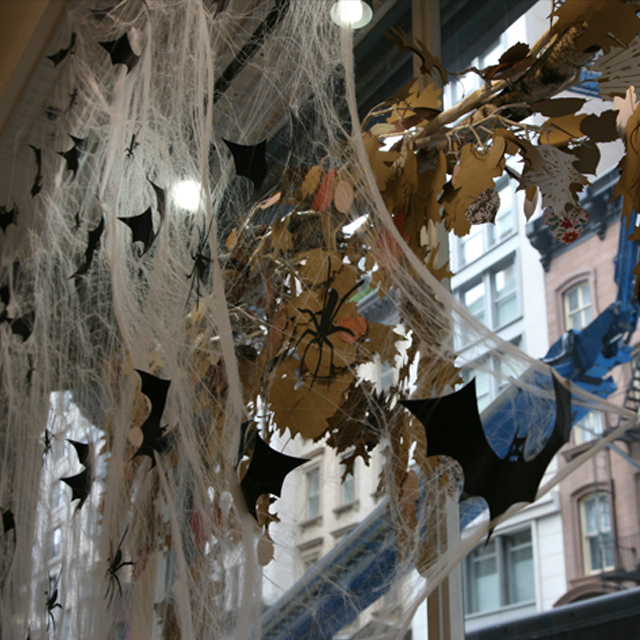 25 bats and 30 spiders were laser cut for our window display. 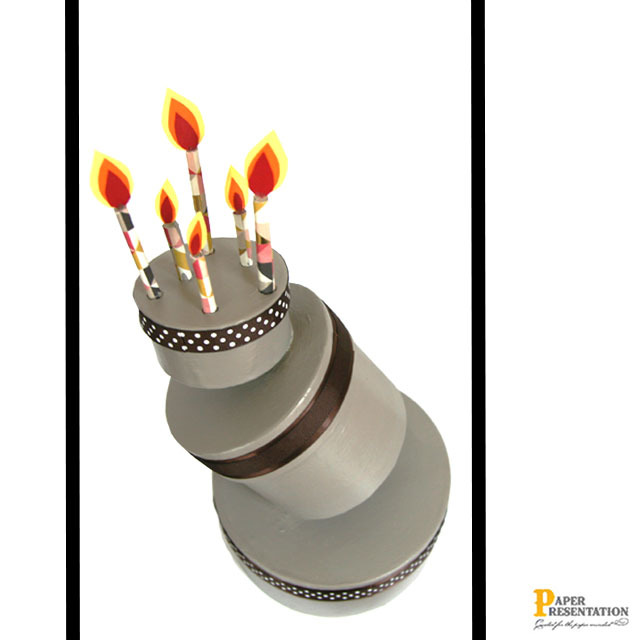 This falling cake was inspired by "Alice in Wonderland" but with a Paper Presentation take on it. 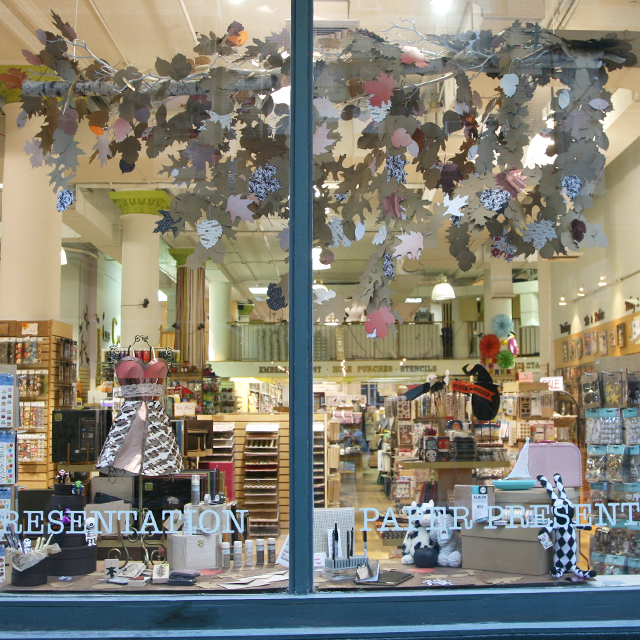 Our visual team took a set of gift boxes from our Gift Wrapping section and made this beautiful creation out of it. They first used the round gift boxes in three different sizes. 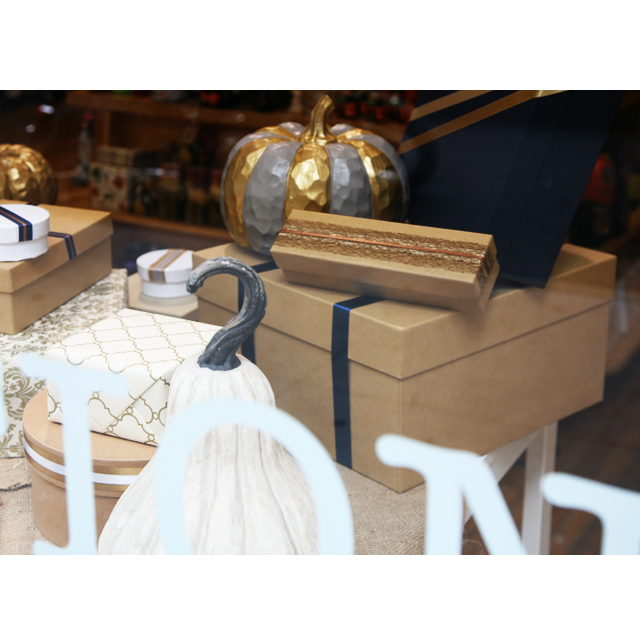 (Circular gift boxes available in store only, Square Gift Boxes available in store and online. 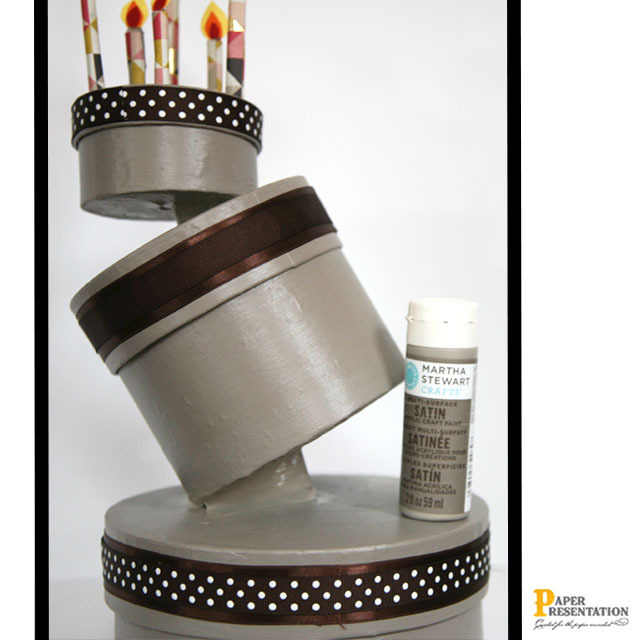 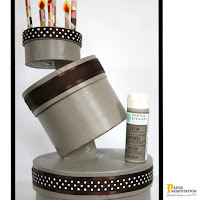 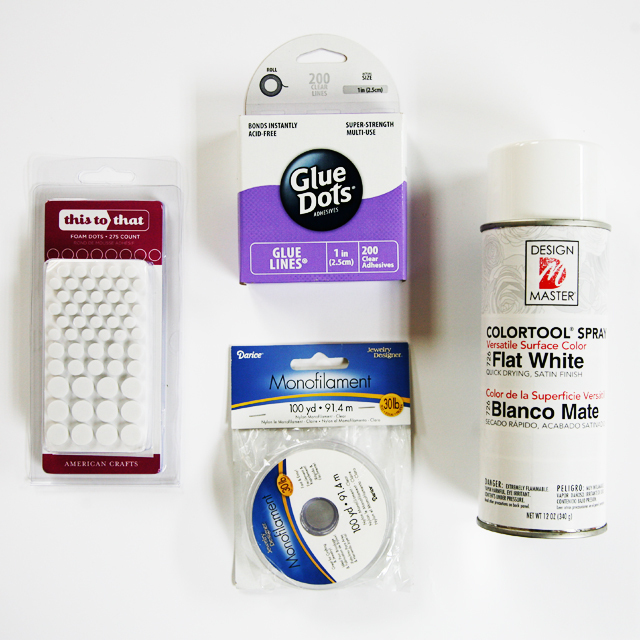 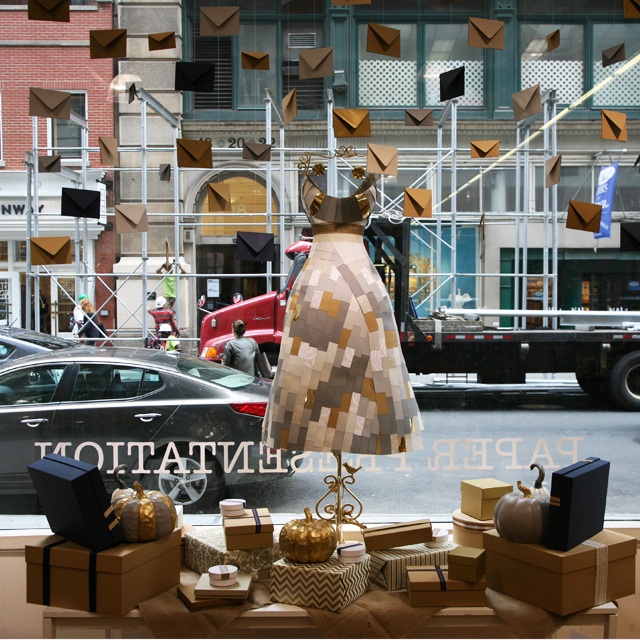 After gluing them on top of each other, the boxes were painted with Martha Stewart's Crafts Grey Wolf color. 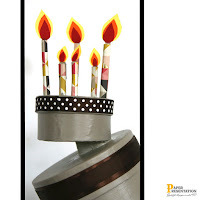 The candles were made using Lemon Drop, Firecracker Red and Lava to represent the fire. 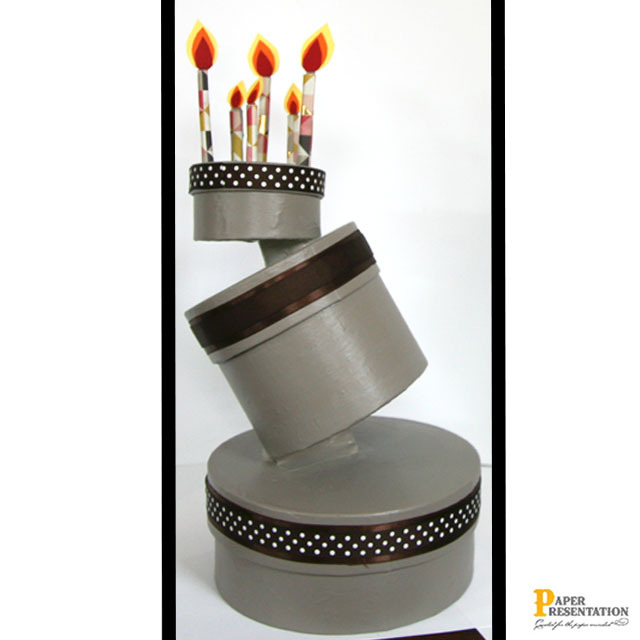 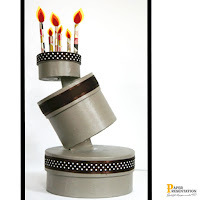 The base of the candles were made using Grandma's Quilt Paper which can be found in store at our scrap-booking section. 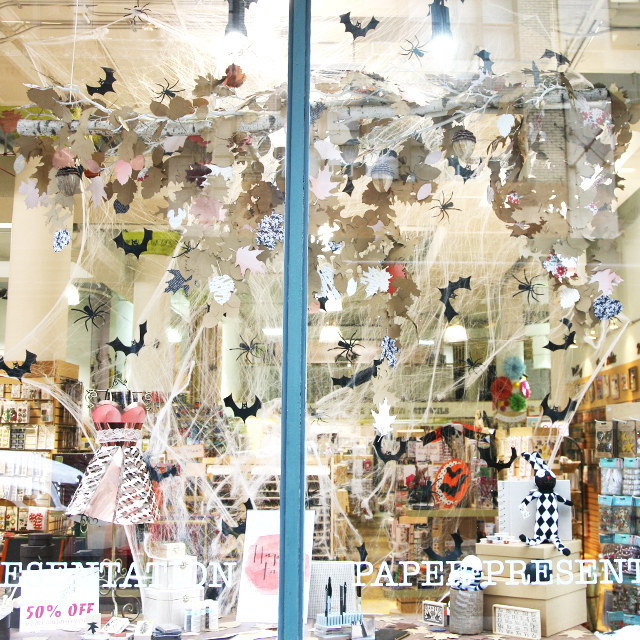 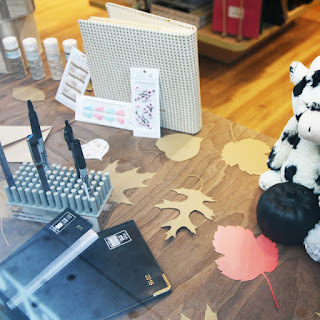 October is here and so is our new Fall window! 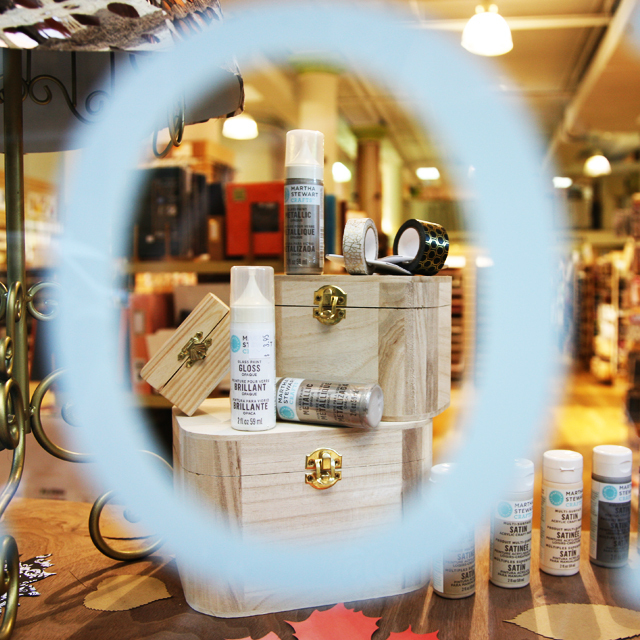 In our previous post Create & Present It we showed the products and materials that were used to create this display. 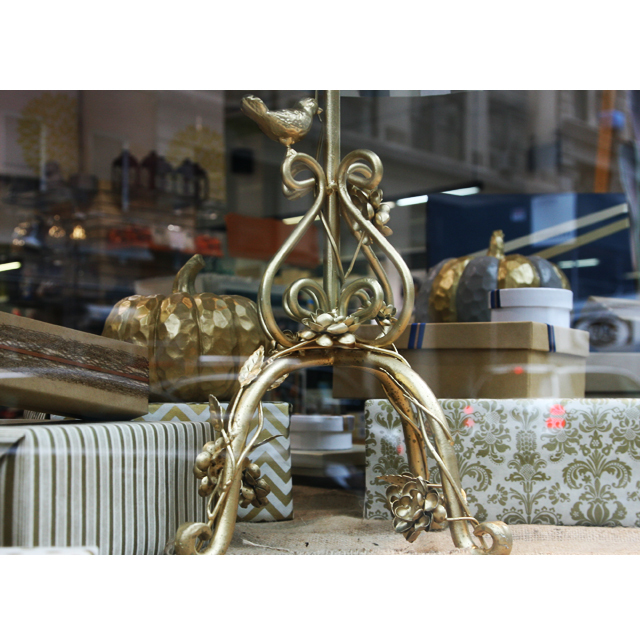 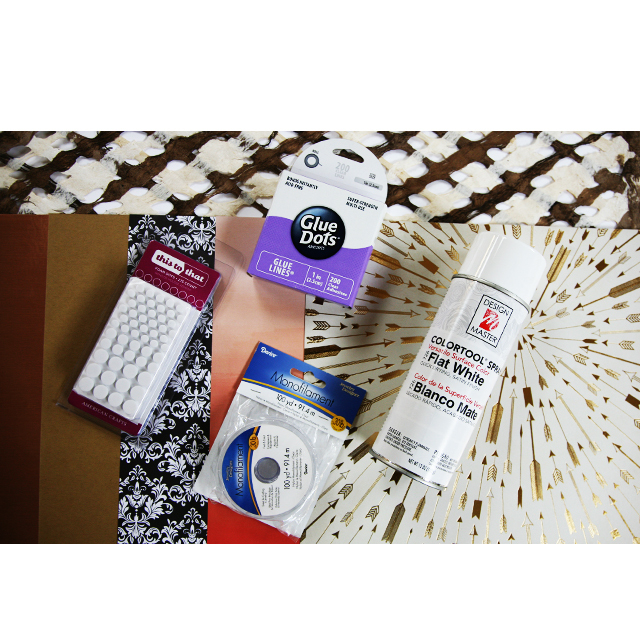 In this post we'll show the products shown in our window display. 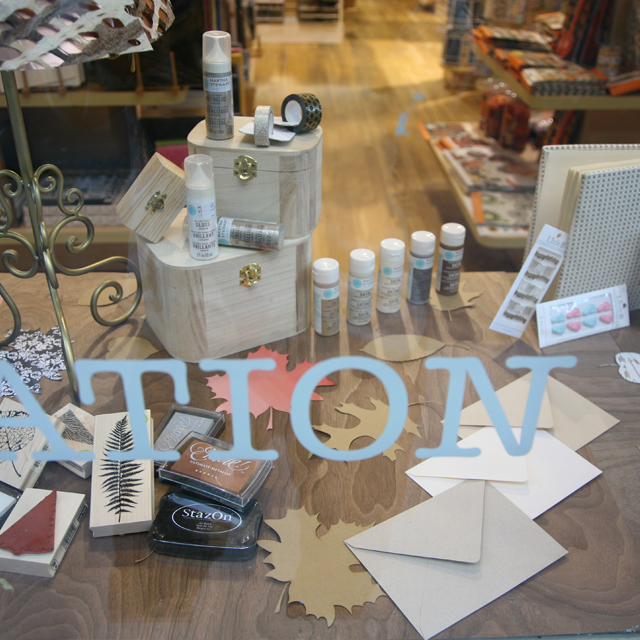 Products displayed in our fall window. 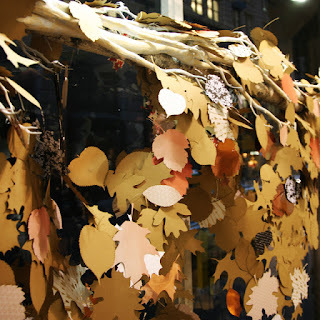 While our visual team is hard at work creating our Fall window we will take you behind the scenes and show the products that are being used during this creation process. 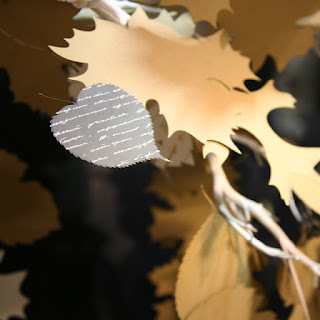 They are spray painting tree branches white and attaching paper leaves that were cut using our laser cutters. 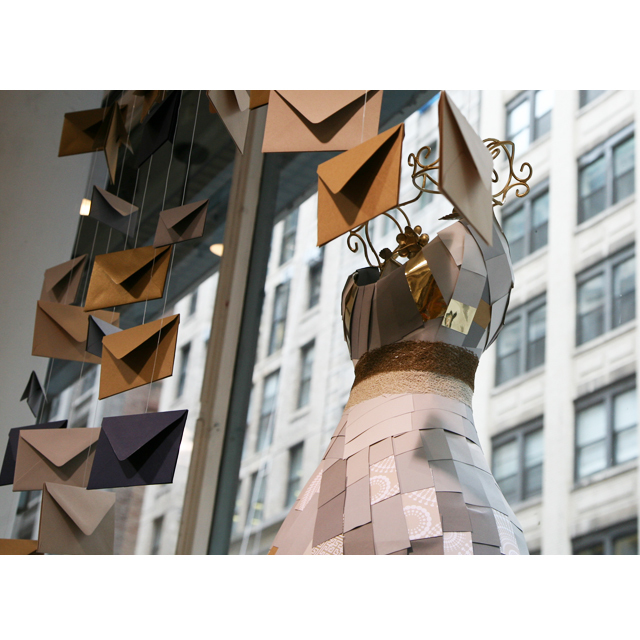 All of the materials used to create our visuals are from our store. 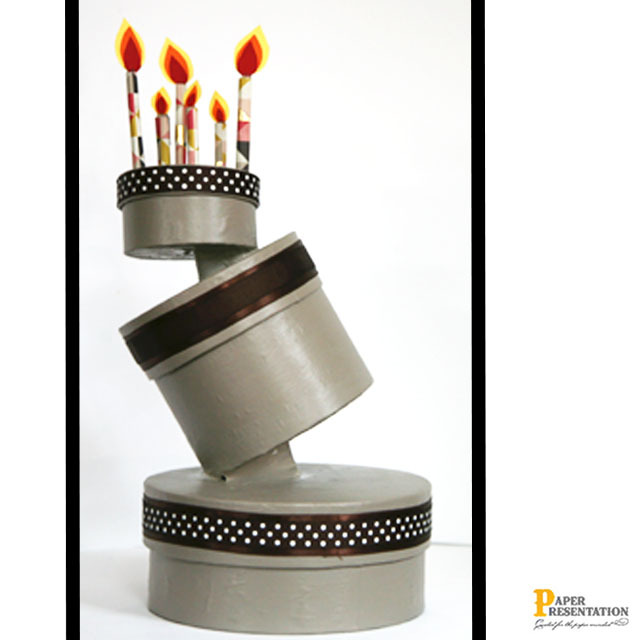 So get inspired, create and present it! 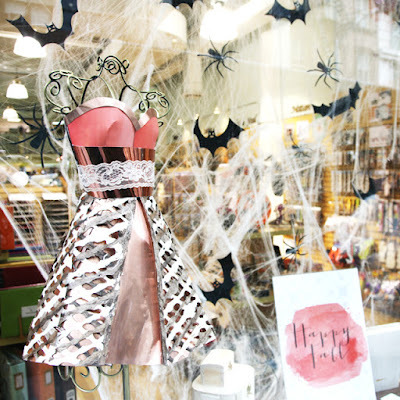 Metallics are still very much in trend for weddings, and we love the idea of mixing Gold + Black.A glitzy Antique Gold + Black wedding color palette is absolutely stunning, and one-of-a-kind chic look! We have used PP Antique Gold Card stock and Black Matte Card Stock to make our wedding invitation set. 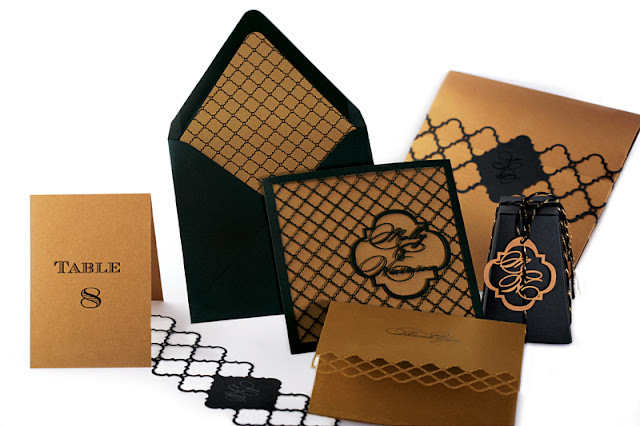 our LASER CUTTING services has given a glamour look to this invitation set. 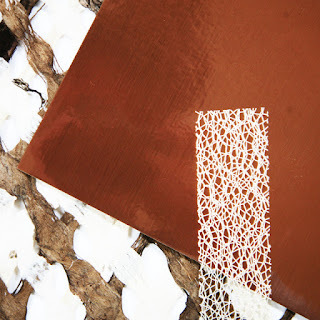 why and what colors of papers we choose. how we made it as well the products we used. 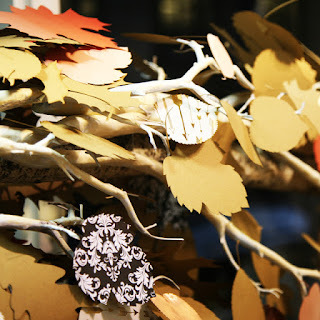 sophisticated look instead of the traditional Autumn color sequence. So we did a sophisticated take on Halloween. 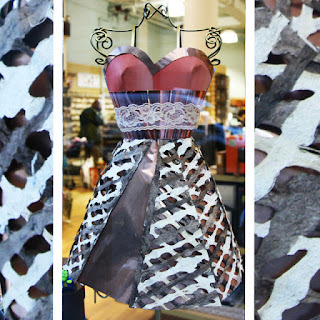 to give it a bit of glamour. Martha Stewart's Crafts Gray Wolf and Gold. pumpkins and gave us the sophisticated look we were going for. 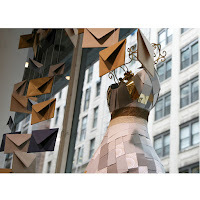 We used various shapes of boxes in different colors and ribbons. 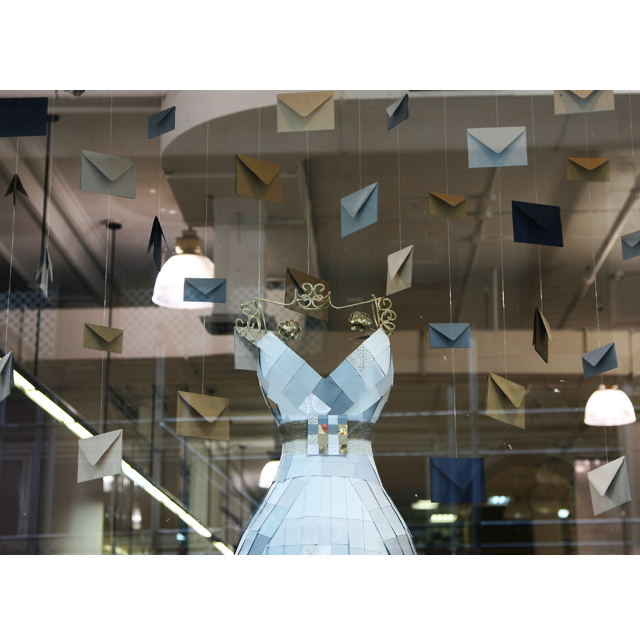 For the backdrop we used various sizes of envelopes, from mini to small. 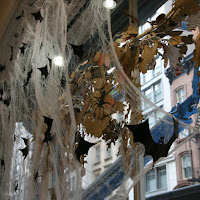 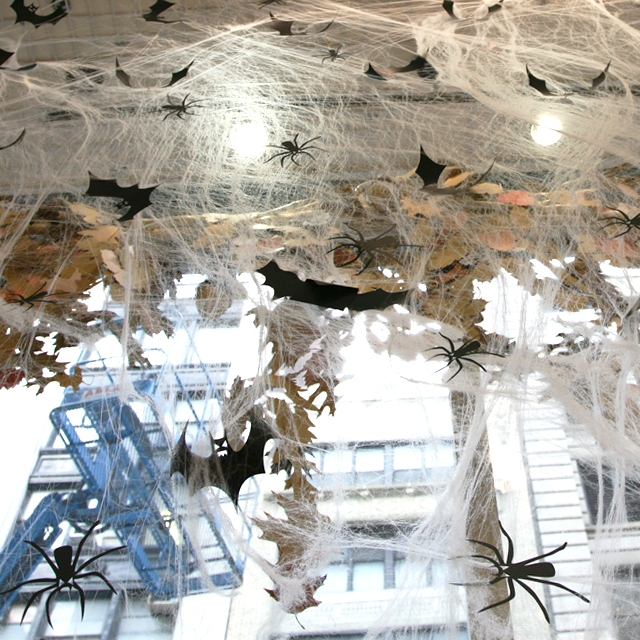 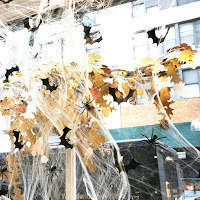 Please take a look at our video of our design team hard at work creating our fall window display.